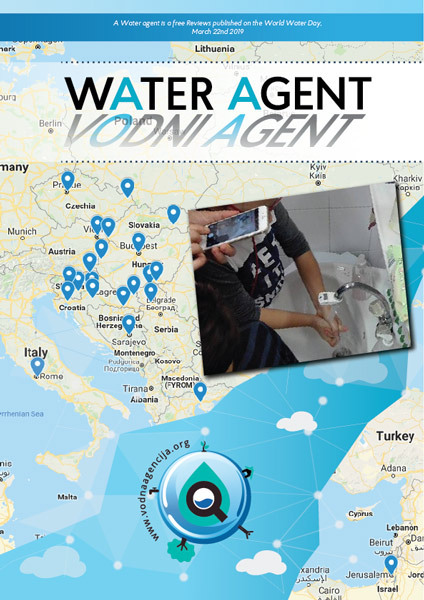 Basic idea of project Water agent is to restitute international co-operation and connection through encouragement of rethinking our everyday actions and suggestion on changes about rational and responsible behavior with water. Project is creation of The Water agency, formed 2013. in Republic Slovenia, their intention is to draw attention of the public on necessity of responsible behavior towards water in nature. And before all on irrational consumption and all following consequences from production through distribution, to processing waste water. Even before the official formation of the organization in schools, in the Republic of Slovenia, have been initiated monitoring activities of consumption of drinking water. Project had developed through time with intention of contribution in global activities for preservation of water resource. 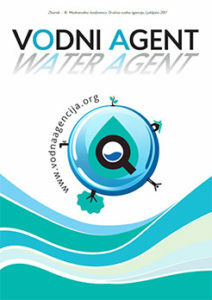 In first phase of measurements, the application (www.vodnaagencija.org ) was advanced, application tracks the results of measurements and allows networking of users, which now number outside of Republic Slovenia too. At the end of 2013. Impact of the organization spread on the region by including Republic Serbia in activities. Thus not only expand the territory, but also educative pilot project was done, which gave excellent results. Now we dispose educative package Water agent, which is easy available to all schools that are interested. During 2014. few schools from Republic Croatia was actively included in project. We name the project simply ”Water agent”. For whom it is intended the project? Project is intended for everybody. Active participants of the project are schoolchildren (III grade of elementary school) who as target group are very receptive for co-operation. With education and awakening of the children we are building the future adults with pre-established awareness of water as a natural resource, which is not inexhaustible and is strategically important for the survival of the human race and the entire planet. By educating children and influencing their immediate environment and thus indirectly educate practically the entire local community. The target groups are also local governments with whom we establish communication in order to facilitate the implementation of the project. Entrepreneurs and economic actors supporting the project make it possible to promote the project in the region. Why it is important to deal with the theme of water when, for example, for telephone bills we spend much more then water bills an utilities? Water is essentially important resource needed in everyday life through the aspect of drinking and technical water, food production, as well as transport, tourism ant it is important to draw attention to the necessity of responsible behavior toward the water in terms of rational consumption, reduced i.e. Eliminated pollution and conscientious management. Lack of drinking water is the problem that half of the world’s population will face by 2030. Less then 1% of water is availed for use. Average consumption in Europe is 150 l/day and water consumption is two times faster then production. Early childhood education in the field of environmental protection is the foundation of education for sustainable development. Several thousands of users from these groups participants (school, governments, media) were indirectly included and informed. Water consumption has been reduced by 15% to 35% of course without neglecting hygiene of children. Children with teachers are independently involved in the project and through an application (www.vodnaagencija.org ) they enter data and connect with their peers in the region. Project in the Republic of Serbia, in AP Vojvodina, through three competitions, was supported by competent secretariats in Vojvodina. In October 2015, we organized an I International conference the Water agent coordinators in Celje. It was attended by 48 participants, and is exposed to 13 papers. In collaboration with the magazine Ekolist we print Bulletin the Water agent who will go out 6 times a year. What do we plan in the future? The expansion of project activities to other countries of the Western Balkans has already began, including new schools and coordinator of the activity. Setting up a project by linking four main cities on the Danube (Vienna, Bratislava, Budapest and Belgrade). Expansion of activities in the area of the Danube region, which would include 20 states that are directly on the Danube or in the Danube basin. By expanding the network of coordinators- Water agents, by basic networing of schools we create the possibility of disseminating information and networking business entities the project. Project enables introduction to the investment potentials of logical governments and individual schools and their activities in the field of environmental protection and energy efficiency.